These Terms are valid as per 25st of May 2018. Since QUADROFOIL respects Privacy and will resolve all the issues with regards to it. QUADROFOIL is the sole owner of the information collected on this site. QUADROFOIL will not sell, share, or rent this information to any outside parties, except as outlined in this policy. QUADROFOIL collects information from our users at several different points on our QUADROFOIL site in order to process orders and better serve you with pertinent information. Information collected includes name, shipping address, billing address, telephone numbers, e-mail address, and payment information such as credit card. We will use statistical data that may be connected with your device ID only for our internal purposes of developing, delivering, improving, personalizing and tailoring our products, services, content, and understanding and analyzing trends in connection with the usage of the Service, and administering the Service and customer communications. QUADROFOIL also requires you to submit a user name and password of your choice for future access to your information. Your user name and password is to remain confidential and you should not share this information with anyone. QUADROFOIL may disclose to parties outside QUADROFOIL collected information when QUADROFOIL has a good faith belief that disclosure is reasonably necessary to (i) comply with a law, regulation, or compulsory legal request, (ii) protect the safety of any person from death or serious bodily injury, (iii) prevent fraud or misuse of Service or its users, or (iv) to protect QUADROFOIL’s property rights. In general, the Personal Information you provide to QUADROFOIL is used to help communicate with you. For example, QUADROFOIL uses Personal Information to contact users in response to questions, solicit feedback from users, provide technical support, and inform users about promotional offers. If QUADROFOIL 'S information practices change at any time in the future, QUADROFOIL will post the policy changes to the Site so that you may opt out of the new information practices. We suggest that you check the Site periodically if you are concerned about how your information is used. Here is a list of cookies that QUADROFOIL use. QUADROFOIL has listed them here so you that you can choose if you want to opt-out of cookies or not. Certain content, products and services available via QUADROFOIL Service may include materials from third parties (»Linked Sites«). Linked Sites may direct you to third-party websites that are not affiliated with QUADROFOIL. QUADROFOIL is not responsible for examining or evaluating the content or accuracy and we do not warrant and will not have any liability or responsibility for any third-party materials or websites, or for any other materials, products, or services of third-parties. Linked Sites are not under the control of QUADROFOIL , QUADROFOIL provides these links to you only as a convenience, and the inclusion of any link does not imply endorsement of the site or any association with QUADROFOIL . QUADROFOIL is not liable for any harm or damages related to the purchase or use of goods, services, resources, content, or any other transactions made in connection with any third-party websites. Please review carefully the third party’s policies and practices and make sure you understand them before you engage in any transaction. Complaints, claims, concerns, or questions regarding third-party products should be directed to the third party. QUADROFOIL Sites may contain bulletin board services, chat areas, news groups, forums, communities,personal web pages, calendars, and/or other message or communication facilities designed to enableyou to communicate with the public at large or with a group (collectively, "Communication Services”). 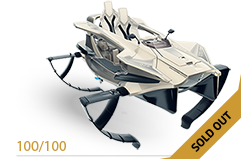 QUADROFOIL reserves the right, at its own cost, to assume the exclusive defense and control of any matter otherwise subject to indemnification by you, in which event you will fully cooperate with us in asserting any available defenses. QUADROFOIL is not responsible if information made available on QUADROFOIL site is not accurate, complete or current. The material on this site is provided for general information only and should not be relied upon or used as the sole basis for making decisions without consulting primary, more accurate, more complete or more timely sources of information. Any reliance on the material on this site is at your own risk. QUADROFOIL ’s services are controlled, operated and administered by QUADROFOIL from our offices within the EU. QUADROFOIL stores your information for as long as needed to provide you with Services. QUADROFOIL may store information longer, but only in a way that it cannot be tracked back to you. QUADROFOIL deletes the information as soon as they are not needed for providing our services. If your name, e-mail or postal address, telephone number or other personal information changes, you may update, correct or omit the relevant information by contacting QUADROFOIL customer service at support@quadrofoil.com. If you prefer not to receive newsletters or other marketing e-mails from QUADROFOIL please let us know by clicking on the unsubscribe link within any newsletter or marketing e-mail you receive. If you wish for your personal data to be completely removed from QUADROFOIL 's systems, please send deletion request to the email address support@quadrofoil.com. You may change or remove Your profile information displayed through our Service at any time by going to Your profile and editing Your information. However, if You want to change the personal information we hold about You in our systems, You will need email Your request to support@quadrofoil.com. Please be sure to include in any e-mail your full name, e-mail address, and any message. Please note that such requests may take up to ten (10) days to become effective. Pre-order is placing orders in advance and requires a down payment and these Terms are part of Terms of Service by QUADROFOIL. Please read these Terms carefully before submitting your Pre-Order of any QUADROFOIL Products. By submitting your Pre-Order, you agree to be legally bound by these terms. When placing a Pre-Order for Products, you will be required to provide certain information, such as your address and billing information. You represent and warrant that all such information is accurate, and you shall ensure that such information is kept current. QUADROFOIL shall have no responsibility or liability for inaccurate information or information that later becomes outdated, and shall have no obligation to make efforts to determine the correct contact or shipping information. You can update your information at any time prior to your product being shipped by sending an e-mail to orders@quadrofoil.com. You will be charged 35% of the full purchase Price of the Product at the time of placing the Pre-Order (preorder price). The Price does exclude VAT and shipping (EXW-Slovenska Bistrica, Slovenia), all other taxes, customs and other applicable taxes in your country, are your responsibility. The preorder price of the Product as indicated in your Configuration or the Monroney window sticker attached to this Terms as applicable, is not subject to change. However, if prior to production of the Product you change the options you have selected, we may update your Configuration, which may affect the purchase price. The Final Price Sheet will be provided to you simultaneously with the Pickup date. It will include final pricing and final Product Configuration. You may cancel the Pre-Order for any or no reason 15 days prior to our notice to you on Final Price Sheet and Production date. If you do so prior to our notice, you will obtain a refund of the deposit. If QUADROFOIL cancels your reservation you will receive a full refund of the purchase Price without interest (and you will not pay any processing fee). If you cancel after notice on Final price sheet and Production date, your deposit will be retained for covering already incurred costs for production and administration. When you confirm our notice on Final Price Sheet and Production date, your Preorder will be considered as Order and you shall be bound by Terms of Sale, as defined in your Final Price Sheet. However, the Product becomes Non cancelable, non returnable as you confirm our notice on Final Price Sheet and Production date. If you return the Product due to damages or disfunctionalities, we will refund you in accordance with our Terms of sale. The export sale (Non-EU countries) will be subject to the 0% VAT rate in Slovenia, provided that you will provide QUADROFOIL within 30 days after pick-up with proof-of-export documents. The proof-of-export documents consist of: 1. Signed CMR for transport from Slovenia to destination country 2. Copy of import documents into destination country or proof of registration in destination country. If the above documents are not provided with the agreed timeframe, QUADROFOIL is entitled (and customer will accept) to an adjusted invoice with the Slovenian VAT amount due on the sale. QUADROFOIL will build Products according to the order in which the Pre-Order is received. This position does not imply receiving a particular number associated with your Products. If you cancel or forfeit your reservation in accordance with these Terms, your position will be taken by the next person on the Product reservation list. Notwithstanding the foregoing, you acknowledge and agree that we may need to build and use Products for a variety of purposes, such as in-house and third-party testing, evaluation, and display prior to fulfilling Product reservations. The expected shipping date provided is only an estimate and is subject to change. Since QUADROFOIL uses EX WORKS INCOTERMS 2010, Slovenska Bistrica, you are responsible for picking up the Product in one week after our notice that your Product is ready for delivery. If you are unable to make a pickup within the specified period, please contact QUADROFOIL to request additional time, which QUADROFOIL may grant at it's sole discretion. If you are unable to make the pickup within the additionally granted period, your deposit will not be refunded and the Products will be made available for sale to other customers. 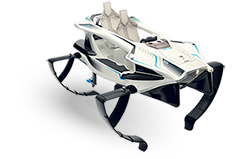 Upon these Terms QUADROFOIL does not represent or warrant that it will be able to ship the Product by the estimated date, until your Pre-order becomes an Order as defined above. You hereby accept that currently we are not able to commit to a fixed shipping or delivery date and you will be notified of updates to the same in due course. In the event that a delay arises for any reason, foreseen or unforeseen, and the estimated shipment and/or release dates for the Product are not met, we will not be responsible for any damages that may occur due to the delay or cancellation of the Product, and we will not be obligated, except as set forth in these Terms, to provide any discounts, refunds or credits due to any such delays or cancellations. UNDER NO CIRCUMSTANCES WILL QUADROFOIL BE HELD LIABLE FOR ANY INCIDENTAL, SPECIAL OR CONSEQUENTIAL DAMAGES ARISING OUT OR RELATED TO THIS AGREEMENT. IN THE EVENT QUADROFOIL IS HELD LIABLE FOR ANY DAMAGES ARISING OUT OR RELATED TO THESE TERMS, YOUR SOLE AND EXCLUSIVE REMEDY WILL BE THE FULL REFUND OF YOUR PURCHASE PRICE WITHOUT INTEREST. 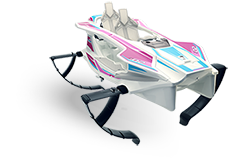 QUADROFOIL DISCLAIMS ANY WARRANTIES, EXPRESS OR IMPLIED, WITH RESPECT TO THE PROTOTYPE PRODUCT DISPLAYED BY QUADROFOIL WHETHER BEFORE OR AFTER YOU HAVE PLACED THE PREORDER. YOU UNDERSTAND AND AGREE THAT THE PRODUCT, ITS DESIGN AND TECHNICAL FEATURES ARE CURRENTLY UNDER DEVELOPMENT AND THAT THE PRODUCT THAT MAY BE AVAILABLE FOR PURCHASE BY YOU MAY BE MATERIALLY DIFFERENTLY FROM THE PROTOTYPE PRODUCT. IF FOR ANY REASON YOU ARE UNHAPPY WITH THE FINAL VERSION OF THE PRODUCT, YOUR SOLE AND EXCLUSIVE REMEDY WILL BE TO CANCEL YOUR PRE-ORDER AS DESCRIBED IN THESE TERMS. QUADROFOIL reserves the right to change any of the terms for any or no reason. These terms and conditions govern the Sale and Purchase of Products ("Products") and the provision of services ("Services") by SELLER D.O.O. and its divisions, subsidiaries and affiliates ("Seller") as well as by third party vendors and/or service providers of Seller. These terms and conditions ("Terms") take precedence over your supplemental or conflicting terms and conditions to which notice of objection is hereby given. Your acceptance of the Products and/or Services from Seller shall be deemed to constitute acceptance of the Terms contained herein. THESE TERMS MAY ONLY BE WAIVED OR MODIFIED IN A WRITTEN AGREEMENT SIGNED BY AN AUTHORIZED REPRESENTATIVE OF SELLER. You are bound by these Terms after you confirm SELLER's Final price sheet and Production date notification you received via e-mail you provided SELLER with when you preordered Product. All deliveries will be made EXW (Ex Works as defined in Incoterms 2000) Seller’s facility. Subject to Seller's right of stoppage in transit, pickup of the Products to the carrier shall constitute pickup to You and title and risk of loss shall thereupon pass to You. Selection of the carrier and pickup route shall be made by Seller unless specified by You. You acknowledge that pickup dates provided by Seller are estimates only and Seller shall not be liable for delays in pickup or for failure to perform due to causes beyond the reasonable control of Seller nor shall the carrier be deemed an agent of Seller. In the event of delay caused by such event, the date of pickup shall be extended for a period equal to the time lost as a consequence of the delay in pickup without subjecting Seller to any liability or penalty. If the Products perished while in the custody of the carrier, the Seller shall be deemed to have performed its obligations in full. Pickup of a quantity, which varies from the quantity specified, shall not relieve You of the obligation to accept pickup and pay for the Products picked up. Delay in pickup of one installment shall not entitle You to cancel other installments. For all orders shipments may be subject to import fees and taxes which are due on arrival. It's impossible for SELLER to determine these charges as they vary from country to country and state to state. If you need any detailed information about these charges please contact your local customs office. SELLER is provided a limited license to your data for the sole and exclusive purpose of providing the services for your order placing, including a license to collect, process, store, generate, and display your data only to the extent necessary in the providing of the Services. SELLER shall: (a) keep and maintain your data in strict confidence, using such degree of care as is appropriate and consistent with its obligations as further described in these Terms and applicable law to avoid unauthorized access, use, disclosure, or loss; (b) use and disclose your data solely and exclusively for the purpose of providing the services, such use and disclosure being in accordance with these Terms and the applicable law; and, (c) not use, sell, rent, transfer, distribute, or otherwise disclose or make available your data for SELLER's own purposes, or for the benefit of anyone other than you without your prior written consent. SELLER warrants that Products thereof will be free of defects in workmanship and materials for a term of one year (unless local legislation requires differently) from the date of pickup, otherwise they are NCNR (Non canceable-non returnable) Products. SELLER will, without charge, repair or replace, at it’s option a Product defective due to manufacturing defect upon pickup to the SELLER Service Department if accompanied by proof of the date of pickup, such as a verified warranty or sales receipt. Before sending the Product to repair please contact us via email: support@quadrofoil.com. This will ensure the fastest turnaround time on any repair. YOU SHALL NOT IN ANY EVENT BE ENTITLED TO, AND SELLER SHALL NOT BE LIABLE FOR, INDIRECT, SPECIAL, INCIDENTAL OR CONSEQUENTIAL DAMAGES OF ANY NATURE INCLUDING, WITHOUT LIMITATION, BUSINESS INTERRUPTION COSTS, REMOVAL AND/OR REINSTALLATION COSTS, REPROCUREMENT COSTS, LOSS OF PROFIT OR REVENUE, LOSS OF DATA, PROMOTIONAL OR MANUFACTURING EXPENSES, OVERHEAD, INJURY TO REPUTATION OR LOSS OF CUSTOMERS, EVEN IF SELLER HAS BEEN ADVISED OF THE POSSIBILITY OF SUCH DAMAGES. YOU'S RECOVERY FROM SELLER FOR ANY CLAIM SHALL NOT EXCEED YOU'S PURCHASE PRICE FOR THE PRODUCT GIVING RISE TO SUCH CLAIM IRRESPECTIVE OF THE NATURE OF THE CLAIM, WHETHER IN CONTRACT, TORT, WARRANTY, OR OTHERWISE. SELLER SHALL NOT BE LIABLE FOR AND YOU SHALL INDEMNIFY, DEFEND AND HOLD SELLER HARMLESS FROM ANY CLAIMS BASED ON SELLER'S COMPLIANCE WITH YOU'S DESIGNS, SPECIFICATIONS OR INSTRUCTIONS, OR MODIFICATION OF ANY PRODUCTS BY PARTIES OTHER THAN SELLER, OR USE IN COMBINATION WITH OTHER PRODUCTS. IF, FOR ANY REASON, THE FOREGOING LIMITATIONS ARE FOUND BY AN ARBITRATION PANEL OR COURT OF COMPETENT JURISDICTION TO BE INVALID OR INAPPLICABLE UNDER ANY APPLICABLE STATE OR PROVINCIAL LAW, YOU AGREES THAT SELLER’S TOTAL LIABILITY FOR ALL DAMAGES, LOSSES, OR CAUSES OF ACTION OF ANY KIND OR NATURE SHALL BE LIMITED TO ACTUAL DAMAGES WITHOUT REGARD TO ANY PUNITIVE OR EXEMPLARY DAMAGES PROVIDED BY ANY SUCH APPLICABLE LAW. All Products are NCNR (Non canceable-non returnable) Products, except in cases of manufacturing defect. Shipments will be deemed to have been accepted by you upon pickup of the said shipments to you unless rejected upon receipt. You shall perform whatever inspection or tests you deem necessary as promptly as possible but in no event later than five (5) days after receipt, after which time you will be deemed to have irrevocably accepted the Products. Any discrepancy in shipment quantity must be reported within five (5) working days of receipt of the Products. Any Product returns due to manufacturing defect shall be subject to compliance with Seller’s Return Merchandise Authorization ("RMA") policies and procedures, which are available upon request. Returned Products must be in the original manufacturer’s sealed packaging and conform to minimum package quantity ("MPQ") requirements. Products not eligible for return shall be returned to you freight collect. If any Product includes software or other intellectual property, such software or other intellectual property is provided by Seller to you subject to the copyright and user license only fort he purpose of use of Product. Nothing herein shall be construed to grant any rights or license to use any software or other intellectual property in any manner or for any purpose not expressly permitted by these Terms. Software is made available "as is". SELLER makes no warranties, conditions, accompanying documentation) as to any matter including (without limitation) performance, results, security, noninfringement, merchantability, integration, quiet enjoyment, features, expectations, satisfactory quality or fitness for any particular purpose. You agree that SELLER owns all right, title, and interest to all intellectual property and other proprietary rights to anything related to Products and Services, including, but not limited to invention, discovery, concept, expression or work, whether or not patented or patentable, including, without limitation, discoveries, compositions, know-how, procedures, technical information, processes, methods, devices, formulas, protocols, techniques, designs and drawings, any physical embodiment thereof, and any patent (and applications therefore), copyrights (and applications therefore), trademarks, industrial designs and utility models, trade secret or other intellectual property right related thereto, including each party's Confidential Information and trade secrets. SELLER Products thereof supplied by SELLER under these Terms are subject to export controls under the laws and regulations of the Republic of Slovenia ("Slovenia”) and any other applicable countries' laws and regulations. You shall comply with such laws and regulations governing export, re-export, import, transfer and use of SELLER Products and will obtain all required Slovenian and other local authorizations, permits, or licenses. SELLER and you each agree to provide the other information, support documents, and assistance as may reasonably be required by the other in connection with securing authorizations or licenses. You shall not export SELLER Product without proper and appropriate governmental approvals, necessary for such export or re-export and for the avoidance of doubt it shall be your responsibility to obtain such approvals.You certify that you are not a person with whom SELLER is prohibited from transacting business under applicable law.You represent that you are not located in any country or on any list where the provision of Products to you would violate applicable law. You also agree not to use or enable use of them for any purposes prohibited by applicable law or export or reexport any SELLER Product with knowledge that it will be used in the design, development, or use of chemical, biological, nuclear or ballistic weapons or for any other criminal or illegal activity.. Laws and regulations change frequently. It is your responsibility to know the law pertaining to export/import procedures in the country of destination of Products. You shall defend, indemnify, and hold SELLER harmless against any liability (including attorneys’ fees) arising out of your failure to comply with the terms of this Section. QUADROFOIL d.o.o. ("QUADROFOIL ") provides its services through www.quadrofoil.com and any other website for which QUADROFOIL owns the domain registration (the "Site"), its proprietary platform and the services made available by QUADROFOIL therein, including the QUADROFOIL Network, mobile applications and data connectivity and storage services allowing you to use our software running on a supported platform that allow you to access the QUADROFOIL services (collectively, the "Service") through registered access to account. Certain areas of the Service, including, but not limited to, the areas of the Service through which you may use QUADROFOIL Service, may have different terms and conditions posted or may require you to agree with and accept additional terms and conditions ("Product-Specific Terms"). If there is a conflict between these TOU and terms and conditions posted for a specific area of the Service, the ProductSpecific Terms will take precedence with respect to your use of or access to that area of the Service. When you use any Service, or send e-mails, text messages, and other communications from your desktop or mobile device to us, you are communicating with us electronically. You consent to receive communications from us electronically. You agree that all agreements, notices, disclosures, and other communications that QUADROFOIL provides to you electronically satisfy any legal requirement that such communications be in writing. QUADROFOIL, QUADROFOIL’s affiliates, QUADROFOIL’s licensors or other authorized partners are not responsible for any modification or damage to, or loss of any programs, data, or other information stored by QUADROFOIL and it's partners, or stored or hosted by QUADROFOIL in connection with a Service QUADROFOIL provides. THE QUADROFOIL SERVICES AND ALL INFORMATION, CONTENT, MATERIALS, INCLUDING SOFTWARE AND OTHER SERVICES INCLUDED ON OR OTHERWISE MADE AVAILABLE TO YOU THROUGH THE QUADROFOIL SERVICES ARE PROVIDED ON AN "AS IS" AND "AS AVAILABLE" BASIS, UNLESS OTHERWISE SPECIFIED IN WRITING. QUADROFOIL 'S ENTIRE LIABILITY FOR ANY AND ALL CLAIMS ARISING OUT OF, OR IN CONNECTION WITH, THESE TERMS IS LIMITED TO THE AMOUNTS YOU ACTUALLY PAID TO US UNDER THE TERMS. FURTHER, NEITHER QUADROFOIL NOR QUADROFOIL 'S EMPLOYEES ARE LIABLE FOR ANY INCIDENTAL, CONSEQUENTIAL, PUNITIVE DAMAGES, OR OTHER DAMAGES, OR LOSS OF PROFITS, LOSS OF REVENUE, LOSS OF DATA, LOSS OF USE OF THE SERVICE, OR ANY ASSOCIATED EQUIPMENT, COSTS OF COVER, DOWNTIME AND USER TIME, OR FOR BREACH OF ANY EXPRESS OR IMPLIED WARRANTY OR CONDITIONS, BREACH OF CONTRACT, NEGLIGENCE, STRICT LIABILITY, OR ANY OTHER LEGAL THEORY RELATED TO THE PSERVICE. EXCEPT TO THE EXTENT PROHIBITED BY APPLICABLE LAW, ANY IMPLIED WARRANTY OF SATISFACTORY QUALITY OR FITNESS FOR A PARTICULAR PURPOSE APPLYING TO THE SERVICE IS LIMITED. Software is made available "as is". QUADROFOIL makes no warranties, conditions, accompanying documentation) as to any matter including (without limitation) performance, results, security, noninfringement, merchantability, integration, quiet enjoyment, features, expectations, satisfactory quality or fitness for any particular purpose. QUADROFOIL shall not be liable whether in tort (including for negligence or breach of statutory duty),contract, misrepresentation, restitution or otherwise for any loss of profits, loss of business, depletionof goodwill and/or similar losses or loss or corruption of data or information, or pure economic loss, orfor any special, indirect or consequential loss, costs, damages, charges or expenses however arisingunder this TOU; and QUADROFOIL 's total aggregate liability in contract, including in respect of the indemnity tort (includingnegligence or breach of statutory duty), misrepresentation, restitution or otherwise, arising inconnection with the performance or contemplated performance of this TOU shall be limited to the totalamount of the payments recieved for the procudct in question. NOTICE REGARDING QUADROFOIL SERVICES EQUIPPED WITH SATELLITE OR WIRELESS TECHNOLOGY. Your use of QUADROFOIL Services is dependent on the availability and coverage of wireless networks,telecommunications networks, satellite positioning systems and the Internet, which involve facilitiesowned and operated by third parties. QUADROFOIL IS NOT RESPONSIBLE FOR THE OPERATION,AVAILABLITY OR FAILURE OF SUCH THIRD PARTY SYSTEMS OR FACILITES OR LOSS OF DATA DUE TOPOOR, NONE OR EXTENSIVE LACK OF COVERAGE. TO THE MAXIMUM EXTENT PERMITTED BY APPLICABLE LAW, IN NO EVENT SHALL QUADROFOIL BE LIABLE FOR ANY SPECIAL, INCIDENTAL, INDIRECT, OR CONSEQUENTIAL DAMAGES WHATSOEVER (INCLUDING, BUT NOT LIMITED TO, DAMAGES FOR LOSS OF PROFITS, FOR LOSS OF DATA OR OTHER INFORMATION, FOR BUSINESS INTERRUPTION, FOR PERSONAL INJURY, FOR LOSS OF PRIVACY ARISING OUT OF OR IN ANY WAY RELATED TO THE USE OF OR INABILITY TO USE SOFTWARE. You agree that QUADROFOIL owns all right, title, and interest to all intellectual property and other proprietary rights to anything related to Services, including, but not limited to trademarks, copyrights, prices, data, website content. You shall take reasonable precautions to prevent unauthorized access and use of the Software and documentation by third parties. You can’t let any third party copy, decompile, disassemble, or otherwise reverse-engineer Software, or attempt to do so. You are prohibited from, and shall prevent any third party from, removing, covering, or altering any of our patent, copyright, or trademark notices placed upon, embedded in, or displayed and related materials. QUADROFOIL reserves all rights in webpages and Services not specifically granted to you under these Terms. QUADROFOIL grants you a limited, non-exclusive, non-transferable, non-sublicensable license to access and make personal and non-commercial use of the Services. This license does not include any resale or commercial use of any Service, or its contents; any collection and use of any product listings, descriptions, or prices; any downloading, copying, or other use of account information for the benefit of any third party; or any use of data mining, robots, or similar data gathering and extraction tools. All rights not expressly granted to you in these TOU are reserved and retained by QUADROFOIL or its licensors, suppliers, publishers, rightsholders, or other content providers. You may not frame or utilize framing techniques to enclose any trademark, logo, or other proprietary information (including images, text, page layout, or form) of QUADROFOIL without express written consent. You may not use any meta tags or any other "hidden text" utilizing QUADROFOIL name or trademarks without the express written consent. QUADROFOIL Service thereof supplied by QUADROFOIL under these Terms are subject to export controls under the laws and regulations of the Republic of Slovenia ("Slovenia”) and any other applicable countries' laws and regulations. You shall comply with such laws and regulations governing export, reexport, import, transfer and use of QUADROFOIL Service and will obtain all required Slovenian and other local authorizations, permits, or licenses. QUADROFOIL and you each agree to provide the other information, support documents, and assistance as may reasonably be required by the other in connection with securing authorizations or licenses. You shall not export QUADROFOIL Service without proper and appropriate governmental approvals, necessary for such export or re-export and for the avoidance of doubt it shall be your responsibility to obtain such approvals.You certify that you are not a person with whom QUADROFOIL is prohibited from transacting business under applicable law.You represent that you are not located in any country or on any list where the provision of Service to you would violate applicable law. You also agree not to use or enable use of them for any purposes prohibited by applicable law or export or re-export any QUADROFOIL Service with knowledge that it will be used in the design, development, or use of chemical, biological, nuclear or ballistic weapons or for any other criminal or illegal activity.. Laws and regulations change frequently. It is your responsibility to know the law pertaining to export/import procedures in the country of destination of Service. You shall defend, indemnify, and hold QUADROFOIL harmless against any liability (including attorneys’ fees) arising out of your failure to comply with the terms of this Clause. The obligations and liabilities of the parties incurred prior to the termination date shall survive the termination of this agreement for all purposes. These TOU are effective unless and until terminated by either you or QUADROFOIL . You may terminate these TOU at any time by notifying us that you no longer wish to use QUADROFOIL 'S Services, or when you cease using QUADROFOIL 'S sites. If in QUADROFOIL 'S sole judgment you fail, or QUADROFOIL suspects that you have failed, to comply with any term or provision of these TOU, QUADROFOIL also may terminate this agreement at any time without notice and you will remain liable for all amounts due up to and including the date of termination; and/or accordingly may deny you access to Services (or any part thereof). These TOU and any related Terms and policies operating rules posted by QUADROFOIL on this site or in respect to The Service constitutes the entire agreement and understanding between you and QUADROFOIL and govern your use of the Service, superseding any prior or contemporaneous agreements, communications and proposals, whether oral or written, between you and us (including, but not limited to, any prior versions of the TOU). These TOU and any related Terms and policies as well as separate agreements whereby QUADROFOIL provides you Services shall be governed by and construed in accordance with the laws of Slovenia, with competent court in Ljubljana. QUADROFOIL reserves the right, at it's sole discretion, to update, change or replace any part of these TOU by posting updates and changes to QUADROFOIL 'S websites. It is your responsibility to check websites periodically for changes. Your continued use of or access to QUADROFOIL website or the Service following the posting of any changes to these TOU constitutes acceptance of those changes. If you upgrade your browser or device with a new version, you must edit the cookies settings again. The fastest and the simplest way to prevent web cookies from being stored in all web browsers is to use the so-called Privacy Tab. Private browsing allows users to visit websites without their web browser storing any information on the visited web pages. Personal data is any information relating to an individual: name, surname, age, address, e-mail address, phone number and similar information. The data you submit to a website owner through web pages will be used exclusively by the website owner with the purpose of promoting activities of a company or owner’s products. Pursuant to the information provided, the website owner uses its best efforts to provide safe collection, transfer and storage of personal data. The website owner shall not submit your personal data to third parties or natural persons with the exception of companies providing website operation. You can exercise the right to access, correct or withdraw the authorisation to use your personal data. The website also includes links to websites of third parties. Quadrofoil d.o.o., Partizanska ulica 38, 2310 Slovenska Bistrica shall not assume any responsibility for the respect of privacy and the content of the respective websites or web pages. Our processors, i.e. trustworthy companies registered to pursue the respective activity which provide an appropriate level of personal data protection, also process personal data. The processors process your personal data following our instructions and exclusively on our behalf. Processing of personal data means any activities performed in relation to personal data, in particular collection, acquisition, entering, organisation, storage and adaptation or change, cancellation, insight, use, disclosure through transfer, reporting, dissemination or other disposal, classification or integration, blocking, anonymisation, erasure or destruction. Processing can be manual or automated. The type, basis and method of processing your personal data depends in particular on the purpose for which we process your data. In specific areas of quadrofoil.com web pages, collects some personal data of users, but only if the users enable the collection or give consent through various contact forms on a web page. By completing the application form to receive e-news users agree to receive e-newsletters. users can at any time unsubscribe from any e-mail sent by the company. The company keeps the acquired personal data for a period required to send content for which you have subscribed or until user revokes the storage of personal data. Users may at any time request by a written notice sent to the company's address or by e-mail address info@quadrofoil.com that the company permanently or temporarily stops using their personal data for the purpose of direct marketing. An individual may unsubscribe from e-newsletter at any time, namely by clicking the designated link in the e-mail received. An individual may request from the personal data controller at any time to permanently or temporarily stop using his or her personal data for the foregoing purposes. This request may be sent to e-mail address info@quadrofoil.com at any time and must include details on the consents to be revoked. I understand that the controller may request additional data for the needs of reliable identification in the event of enforcing the rights related to personal data, and may refuse to take action only if the unreliability of my identification is proven. I understand that the controller must reply to my request by which I enforce my rights related to the above-stated personal data, without unnecessary delay and no later than within one month after receiving my request.